Sens. Ed Markey (D., Mass) and Mike Lee (R., Utah), with Rep. Anna G. Eshoo (D., Calif.), today reintroduced a bill to eliminate an exemption from the Telephone Consumer Protection Act’s robocalling and robotexting restrictions for parties seeking to collect debt owed to or guaranteed by the federal government. 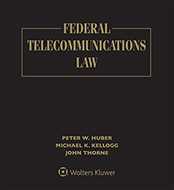 The Help Americans Never Get Unwanted Phone calls (HANGUP) Act also would effectively “rescind” an FCC declaratory ruling that stated that the exemption related to federal government debt collection extends to contractors calling on behalf of the government (TR Daily, July 6, 2016), the sponsors said in a press release. “Both harmful carve outs could pave the way for a deluge of unwanted robocalls and robotexts from federal debt collectors, military recruiters, tax collectors, and other federal contractors,” according to the press release. The three lawmakers had introduced similar legislation in the Senate in 2017 (TR Daily, March 8, 2017) and in the House in 2018. “Consumers should be empowered to say no to any unwanted and abusive robocall or robotext, especially from a federal debt collector,” said Sen. Markey, who sponsored the TCPA when he was in the House.